A new study by The NPD Group estimated that US Internet-delivered VOD (iVOD) $204 million last year, up while paid movie rentals via pay-TV/multichannel VOD was $1.3 million. The big players in the Internet movie rental business are iTunes, Amazon, Vudu (Walmart) and Cinema Now (Best Buy), and there are many others. (Netflix and Blockbuster's streaming services are not considered part of this market; they are subscription video on demand services, rather than transactional/one-shot/pay-per-view). The big news is that among the iVOD users, usage of pay-TV VOD declined 12% and the size of the pay-TV user base is declining. Often lost in the discussion of cord-cutting and cord-shaving in the pay-TV market is that the different segments of the market have very different competitive dynamics. Cable services are even less likely to be available. This makes perfect sense given that those channels rely on multichannel television for both distribution to reach viewers and license fees. Some of their programs are available via Hulu, Netflix, and their websites, but typically episodes that are not that recent and often not that many of them. Recent movie VOD is one where the Internet-delivered selection (the subject of NPD's study) is very competitive with the pay-TV offering, particularly in the easy of navigation of the available choices. In adult video, the Internet offering trounces pay-TV's (more selection, lower cost, more salacious content) and the revenues have followed, as I described in an earlier post. The other segments of the pay-TV video offering are smaller and include foreign language services and out-of-market sports packages. It is hard to generalize about the Internet availability of the former. With respect to the latter, the MLB Extra Innings and NBA League Pass are available on Roku, Apple TV and many other Internet platforms. NFL Sunday Ticket is available only on the Sony PlayStation 3 and DirecTV. NHL Center Ice is available only through pay-TV providers. One thing that seems clear from the results to date is that, to the extent that the Internet-delivered services have similar access to content as the pay-TV providers, their offerings are pretty competitive and they have often been quite successful. It is doubtful that this message is being missed by any of the players in the content business. Still, there are pretty compelling reasons for certain content providers to tread carefully or slowly in this direction. Canoe Ventures, the cable operator consortium designed to solve the interactive advertising business across the industry, has thrown in the towel, at least on the interactive advertising part of it. In the words of Deadline.com's Nikki Finke: Toldja! The dirty little secret on the distributors' side of the business is that many operators do not insert on reasonably popular linear digital networks. Interactive advertising is harder to buy, harder for an advertiser to use and not ubiquitously available. That's not a good combination. Canoe will continue to sell ads in video-on-demand. That business can use the same commercials that run on linear channels. Comcast announced a new service yesterday, called Streampix, which immediately sent the stock of Netflix down. While that's probably good news at Comcast's headquarters, the rationale behind the new service seems weak. 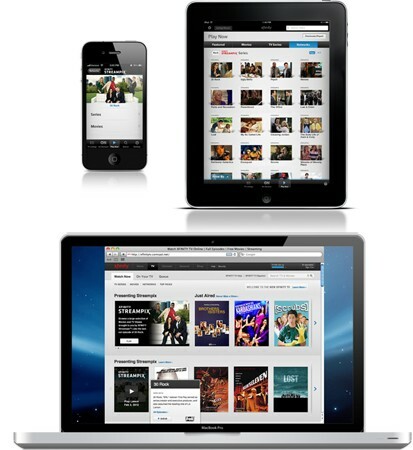 On the plus side, the service will be available on computers, tablets and phones (just like the picture above!) and it will cost only $4.99 (less than Netflix at $7.99!). On the downside, it is only available to Comcast TV customers, so, it isn't a viable choice for, shall we say roughly 80% of US households (Comcast reported 22.343 million video customers at year end 2011, there are 114.649 million US TV HHs this season per Nielsen (.pdf). That's a pretty big part of the market to ignore. More importantly, the programs and movies for which Comcast has acquired streaming rights are more than likely to overlap with programs and movies for which Comcast has acquired cable VOD rights. This is less a Netflix competitor than a way to generate additional revenue out of Comcast's existing video base. There's nothing wrong with that, but that's a different kettle of fish. That's more like charging extra for TV Everywhere. The Verizon-Redbox joint venture for a streaming service looks like more of a dead-on Netflix competitor. 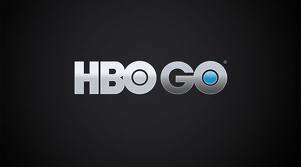 While Comcast and Time Warner Cable are now happy to affiliate with HBO Go, its TV Everywhere service, apparently they are picky about the platforms on which their customers use Go. 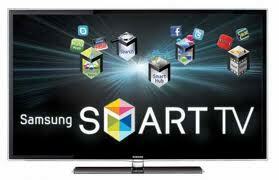 First it was Rokus that was problematic, now it is Samsung's Smart TVs. It seems clear that the problem that Comcast and Time Warner Cable have is that they believe TV Everywhere should allow their customers to see services on devices that are not TVs; they believe a TV should only be powered by one of their set-top boxes. While I understand their position -- no one who owns a platform likes a competitive platform -- it just feels to me that it seems like an approach from an earlier era. When cable was a monopoly television distribution business it could get away with customer unfriendly choices. Today, with a broadband Internet business and phone service to sell, and no monopoly position on those, it would seem that moves like this just serve to continue the negative cable guy image and don't build the brand that's needed now. Aereo launched its beta yesterday in the New York City DMA. For those unfamiliar with the company, formerly known as Bamboom, it will rent tiny digital antennas to people and then transmit TV signals to those people from "their" antenna via the Internet so that users can watch it on their computer or tablet or phone. If the "renting an antenna" part sounds odd, it makes sense because consumers can transmit content from a device that they have rented to themselves according to the precedent in the Cablevision "network DVR" case, although that didn't fit in the somewhat-similar Zediva "remote DVD player" case. How tiny are the antennas? This tiny. That's a good thing since Aereo needs one for every customer it signs up. While it might appear that getting TV on one's computer, tablet or phone is the raison d'etre for the service, Aereo looks much more significant to me for other reasons. The first and biggest is that it appears that Aereo may be the first company to offer a service that provides broadcast TV programming without entering into retransmission consent agreements with the broadcast stations. This is significant because the strong stations are collecting increasingly healthy fees for providing their retransmission consent to cable, DBS and telco multichannel providers. (The service provided by ivi TV provided broadcast content without retransmission consent, but ivi lost that suit and was forced to shut down, although the decision has been appealed). If Aereo's approach withstands the inevitable legal challenges, that precedent could give some multichannel providers a work-around to avoid paying retransmission consent fees themselves. 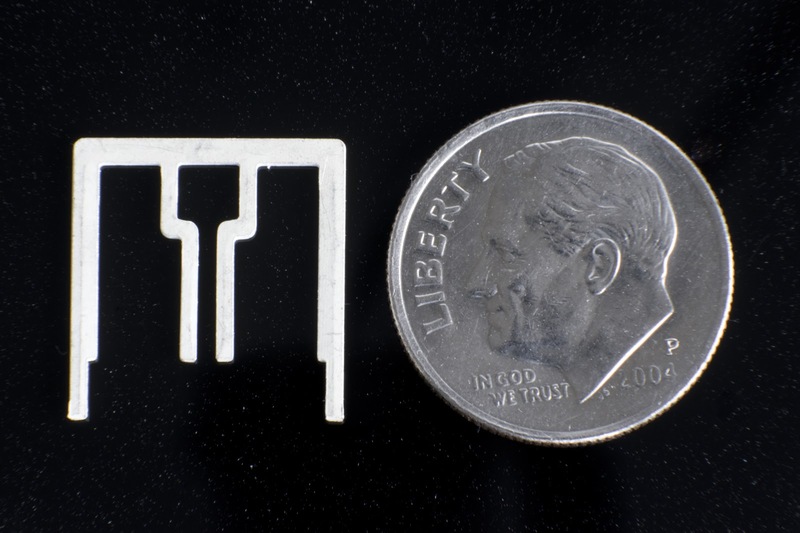 The ironies are rich and multiple: Aereo's approach takes advantage of the long-standing way that people received television -- pulling down the signals with an antenna. Most broadcasters consider cable their enemy, in fact, the broadcaster's own over-the-air signal itself is the root of this threat to their revenue. Cable which was originally seen by broadcasters as helping them expand the reach of their stations and the stations' advertising and then became the enemy when it competed for viewers is now the savior as it provides retransmission consent fees. Aereo's consumer offering stakes out a unique place in the market. For $12 per month, a customer gets the service equivalent to a 2-tuner DVR connected to an antenna. The closest alternative to that is probably TiVo's $19.99 per month service which requires the use of its box (the least expensive of which is about $100) and, of course, an antenna. There are other options, most of which involve using your computer to do the recording and an antenna to pull down the signal, typically with no monthly fees. These options have not been that popular in the marketplace despite being available for years, perhaps, like many computer solutions, they haven't gelled yet to reach the mass market. Aereo's approach also suggests a possible work-around for cable. Instead of a single master antenna pulling down a station's signal and distributing it to many subscribers, perhaps the cable company could create its own array of many little antennas and rents one to each subscriber and distribute those signals to the subscriber via IP. The problem for the cable operator is that doing such a thing in lieu of its current carriage would be illegal: the cable operator is required by law to provide the broadcast stations to all video subscribers. It wouldn't be illegal for DBS to do so however. DBS has no such forced buy-through. I would think it would not be difficult to build Aereo's service (or their own version of it) into an Internet-connected DirecTV or Dish set-top. It would not be hard to see the cable industry lobbyists sinking their teeth into this opportunity shortly thereafter. One other thing that Aereo supports, if it survives, is over-the-top substitution in general. Right now all consumer solutions that involve replacing subscription multichannel television involve getting good reception on an antenna on your own premises. Certainly there are those that might take a cord-cutting or cord-shaving step that do not meet that standard either because the location cannot receive a good signal (e.g., in a valley) or because putting up an antenna that can is inconvenient or impractical (e.g., in an apartment building). Aereo could represent an attractive option for that group. Given that TV households represent 96.7% of total households and that multichannel households represent about 85% of TV households, satisfaction with television by the most reasonable measure is pretty high. However, there are still some TV problems to solve and today I put forward a modest proposal that eschews cannibalism and would dramatically improve things with respect to one problem: navigating the hundreds of channels on digital cable. Here's the model of how to dramatically improve the live TV viewing experience. Yes, it is straight out of the 1960s. 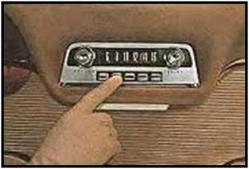 You can freely tune any channel on the dial, but you can pre-set buttons for easy access to your favorites and you can pick which button has which station. How this would work for multichannel television: Let me organize my channel lineup so that the channels that I watch the most are at the start of the dial. If the average household watches only 16 channels, those 16 channels would be the first 16 on the dial, irrespective of where the cable operator has chosen to place them on the dial. For the occasional viewing of the other channels, those could be in numerical or alphabetical order above the "first 16". The first 16 could be set in a few ways. The default mechanism based on the most viewed 16 channels in the household after a period of a few weeks of startup data collection (you do know the set-top box knows what you are watching, don't you?). Before there is sufficient data, during that first few weeks, the 16 could be based on the top channels in the DMA or the zip code. This default list would be customized for those with HD sets, naturally. And of course, for those so inclined, these settings could be tweaked by the user at his or her computer (including the setting the top group to be more or fewer than 16 channels). For Internet stream of a 24-hour channel (e.g., a feed received by a Roku), that URL could be added as well. (The issue of switching between the cable box and the Roku is, alas a thornier problem -- see below). The feed for a single game from something like the Internet-delivered version of MLB Extra Innings may be a bit tougher, but, theoretically, MLB could create a single URL for each team's live game (actually, more likely, two, another for the Spanish audio feed). The great news about this approach, if you are a multichannel provider, is that you alone can provide this functionality. The great news about this approach if you are an end-user is that, if your provider does not, hopefully soon you might have some choices in TV navigation, as the multichannel providers move to virtual boxes (Comcast's Xfinity TV, AT&T's U-Verse and Verizon's FiOS are already on/coming to Xbox). Perhaps then we'll get the implementation of television navigation the way we really want it: with a smart switcher box that seamlessly incorporates live and on-demand programming from a variety of sources, organized the way the user desires.